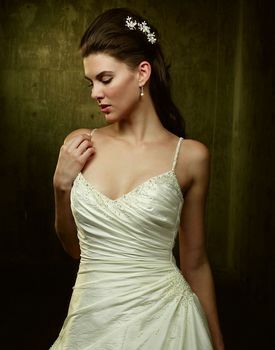 Elegant simplicity is achieved in this A-line dress. 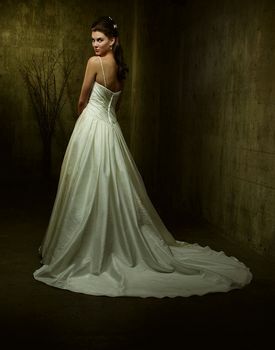 The bodice and waistline are accentuated with gathers that flatter by giving a slimming effect. 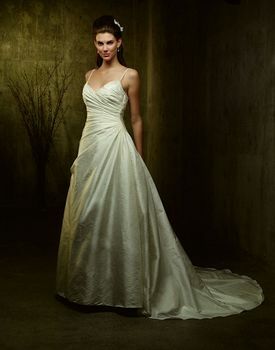 Pearls and crystals sparkle at the neckline, straps and side skirt gathers. Multi-pleats on back skirt give fullness to the chapel train.